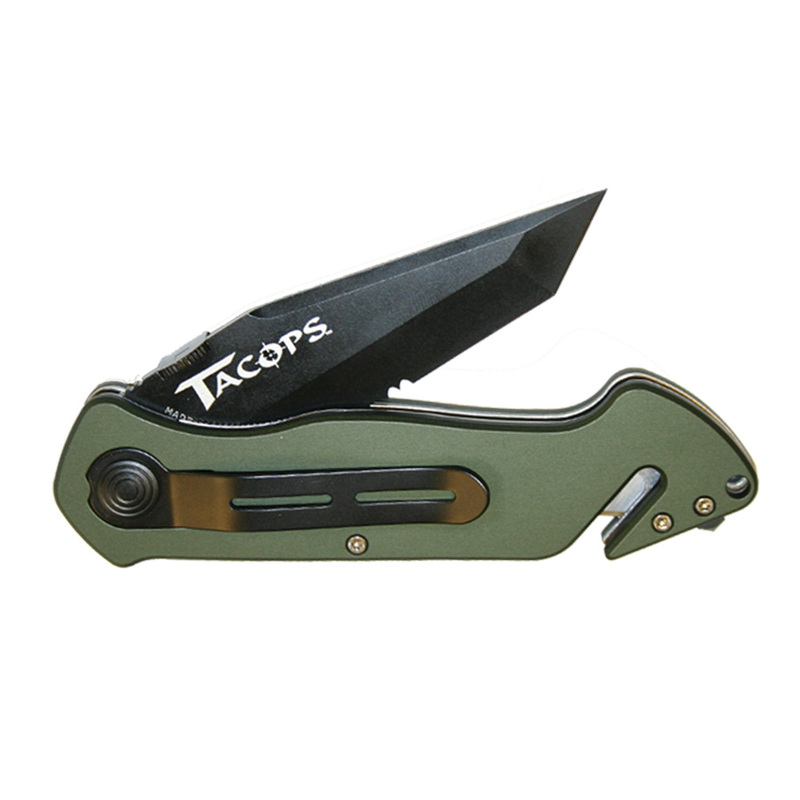 The TACOPS™ Personal Rescue Tool (PRT) is a lightweight, versatile rescue knife that is affordable to individual operators. The PRT is offered with either a black or olive green handle with the option of a standard clip point or tanto style blade. The blade is 440A stainless steel with edge holding and corrosion resistant properties. The blade is finished in a black BT2 style coating and features a large thumb stud for easy one-hand opening even while wearing gloves. The PRT features a replaceable blade for the seat belt, flex cuff, or shroud line cutter at the base of the handle that utilizes a stainless steel razor blade and a window punch for emergency extraction from vehicles. The pocket clip ensures against the inadvertent loss of this handy tool.